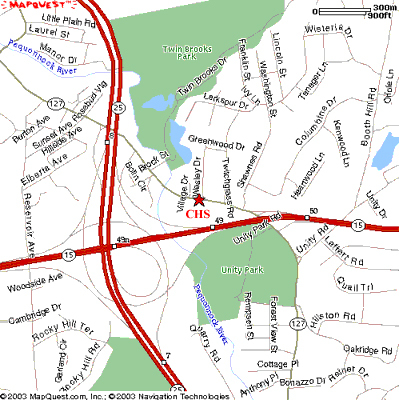 We are located at 575 White Plains Road, Trumbull, CT 06611. If you want door to door directions from where you are to us, go to www.mapquest.com. Take CT-15/Merritt Parkway South towards N.Y. CITY. Christian Heritage will be on the left. Take Exit 27A off of I-95 onto the Route 8 & 25 Connector. Stay to the left on Route 25 toward Trumbull/Danbury. Take Exit 7, bear right on the ramp toward Route 127 (White Plains Road). At end of ramp take a right onto White Plains Road. Christian Heritage School will be approximately 1/4 mile on the right.